Harold Richter, age 87, of Lincoln, NE died Monday, March 18, 2019 at Gateway Vista Nursing Home. 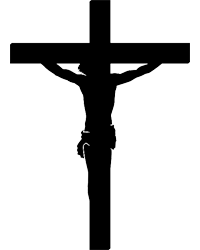 Mass of Christian Burial will be 11:00 AM, Friday, April 26, 2019, at St. Thomas Aquinas Catholic Church in Madison, SD. Inurnment will follow at St. Thomas Catholic Cemetery followed by a luncheon at St. Thomas Catholic Church in the basement. The family will be present for visitation one hour prior to the service on Friday. Harold James Richter was born December 7, 1932 in Madison, South Dakota to Edward and Emma Richter. Harold grew up in Madison where he attended grade school and graduated high school. He attended SDSU where he received a bachelor’s degree in Agriculture. After college he served in the Army for 2 years. He came back to Madison where he met Nancy Cole. On August 22, 19060 they married. They moved to Nebraska where Harold taught VO Ag and eventually worked for the Federal Government at Farmers Home Administration. Harold traveled and moved the family throughout Nebraska before settling in Lincoln where he retired. Harold enjoyed driving throughout the countryside and checking in on all the farmers he met over the years who ultimately became good friends. 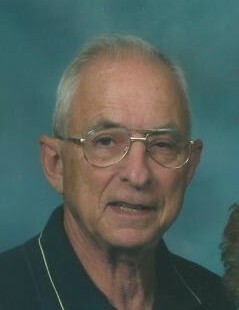 He was an avid Nebraska Cornhusker football, baseball and volleyball fan. After the death of Nancy, he moved into Gateway Vista Nursing Home where he was welcomed in and taken care of like family. Harold is preceded in death by his parents Edward and Emma, wife Nancy, son James, Brothers Francis “Rick” (Joyce), Earl (Joyce), Vernon, Sisters Lorraine (Lloyd) and Bernice (James) (Everett). Harold is survived by his 4 children Theresa (Chris) Dobson, Kenneth (Teresa), Ronald (Sandi), Edward, daughter in-law Roxanne (James). 11 grandchildren and 5 great grandchildren. Brothers Donald ‘Dutch” (Angela), Bill (Joyce), Sister Mary Ellen (John), sister in-law Elaine (Vernon) and 46 nieces and nephews.